The Week 1 Update is Coming Tomorrow! Tomorrow we’ll be releasing our big ‘Week 1 Update’ with a host of balance changes, quality of life changes and small bug fixes that’ll increase the stability and enjoyability of the game. There will be around 10 mins of outage time whilst we restart and deploy server + matchmaker updates. This means all players will need to update their clients to play. The update is planned to go live between 16:00 and 17:00 GMT. We will also be delaying the launch of competitive play. You can read more about this further down within this update. Added function to mute individual players via the social tab after pressing ESC. Added menu setting to entirely disable VOIP. Collision fixes to prevent certain overpowered boost spots on competitive maps. Collision fixes to prevent areas players could get out of the playable area. Fixed certain spots where players could lean through walls for information. New Feature: Filter servers by server name, player count, map, mode and ping. New Feature: Hide locked servers. Players will no longer ‘fatal error’ to desktop mid game when a player is killed on the same frame a grenade is released from another player’s hand. Matchmaker Improvements - Players should see less "loading into a game then being taken back to the menu" errors. Skins can now be seen in community servers. The launcher now quits immediately after successful launch to save system resources. We put in a potential fix for the end of match XP/Rank bar to display correctly. 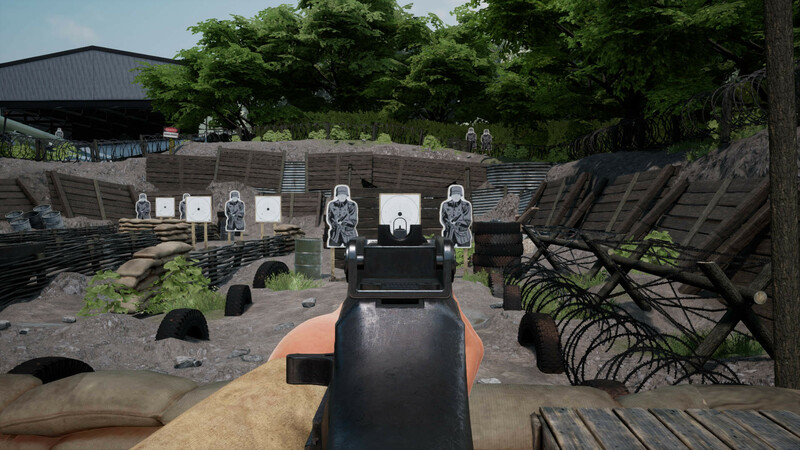 New BAR ADS sight allowing for better visibility and aim potential. Damage falloff decreased - now takes 3 to 4 bullets to kill instead of 3 to 5. Decreased time before BAR ammo refills when reloading to allow fast reloading of the BAR. STG44 can now 1 shot headshot. We’ve been hearing the reports of regular crashes. Whilst this is expected for an Early Access game and we have fixed many of the fatal error crashes, this is not acceptable for a competitive environment. This is why we’ve decided to delay the competitive mode launch. The goal of this delay is to fix 50-80% of the regular crashes that occur during general play. We can’t just fix the game magically overnight - this stuff takes time, which is why we’re pushing back the launch of competitive play. Luckily after the fixes If players do crash out - you will have the option to reconnect back into the same match. This is to reduce the annoyance of crashing out of a competitive game. However - if players just decide to rage quit a game in progress they will be banned from competitive play for a period of time. You won’t have to wait too long - we’re still looking at getting competitive matchmaking to you guys asap - we’re just giving ourselves more time to get to the game into a state we feel is acceptable for competitive play for a Steam Early Access title! We’ll have more updates on this soon. On Saturday 10th February ‘ThePlays’ will be hosting another Blitzkrieg Battle Tournament. 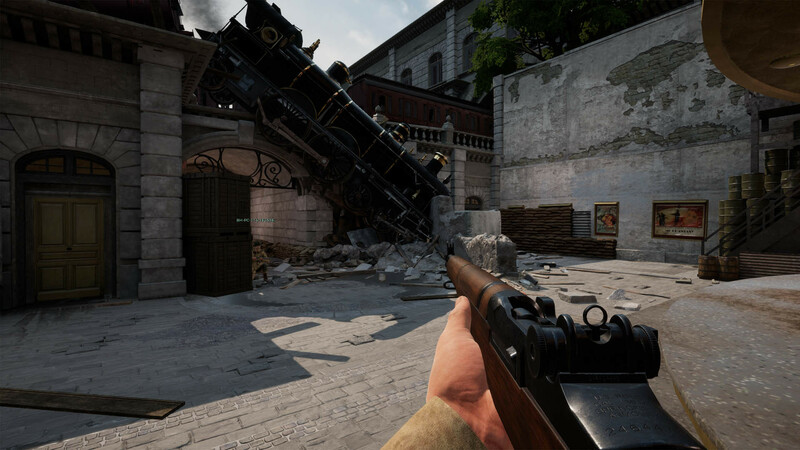 Make sure to sign your team up now if you want to be in with a chance of breaking into the early competitive Battalion 1944 scene without the need of matchmaking servers. Check out this B site execute on Liberation by the week 1 tournament winners, The Ocelots! ThePlays are looking for NA tournament organisers! They’re looking for some solid, reliable folks to help report matches and coordinate with the broadcast team every Sunday from 2PM Pacific. If you’re interested in helping them out - make sure to DM ThePlays official twitter account. Thank you so much to our players for your continued support. The Bulkhead Interactive Development Team. agreed BoJack Horseman maps are too small, even for 'competative". Wait no one plays real competative on maps like these. The movement is best thing in thing in this game,I agree all CSGO kids should get banned.If they nerf movement well its time to refound. battalion crashed... all the time while i try to join an unranked game. Arcade same♥♥♥♥♥♥.. cant play this from the last update. Something you should fix is that u can rank up i dont know how many times i have rank up to lvl 2 now and still om lvl 1 FIX IT. I love thid game so far. Its fresh and so much fun. Thanks for the hard work, I just hope you leave the mechanics as they are and build upon them. No need to nerf anything, just fix bugs and glitches as they get found.